Digital Extremes is proud to announce that with their sixth anniversary approaching, they are close to 50 million registered users in Warframe. To celebrate this, they are giving out birthday gifts this Wednesday, March 27th, for all Tenno. This includes a new exclusive Liset Skin (landing craft), last year’s Dex Excalibur skin, and all of the previous anniversary gifts. 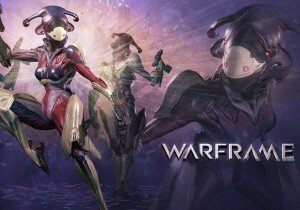 In addition to record-breaking signups, Warframe also reached new peaks for daily active users (DAU) and monthly active users (MAU) in 2018. TennoLive 2018, Warframe’s annual keynote at its fan convention TennoCon, grew from 16,000 views in 2017 to 413,000 in 2018, a 2,481.25% increase, making Warframe the 14th highest concurrently viewed game on Twitch in 2018.